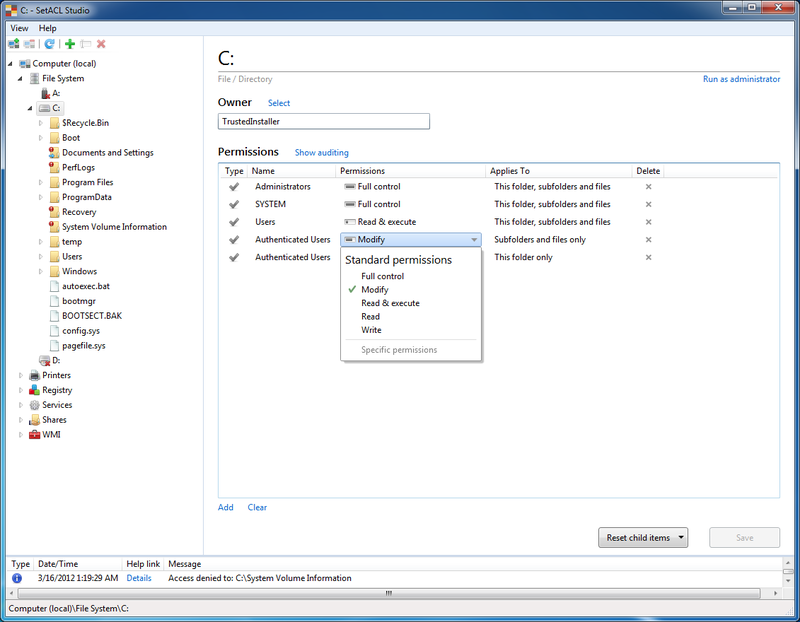 Drive C: is selected and we are about to change the permissions for “Authenticated Users”. Please note that the red circles next to several folders indicate a lack of permissions and will be gone once we restart SetACL Studio with full admin rights via the link in the top right corner. 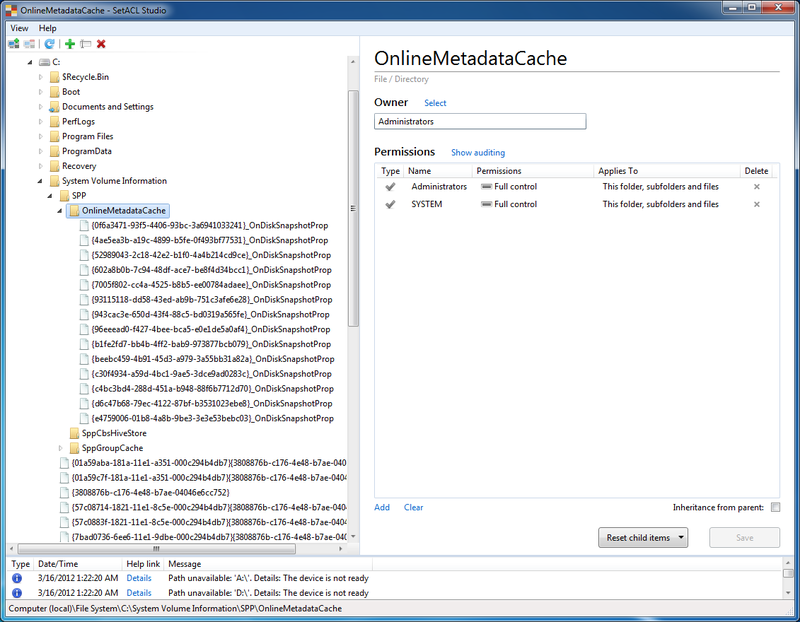 Inspecting the contents of “System Volume Information” – try that in Explorer. 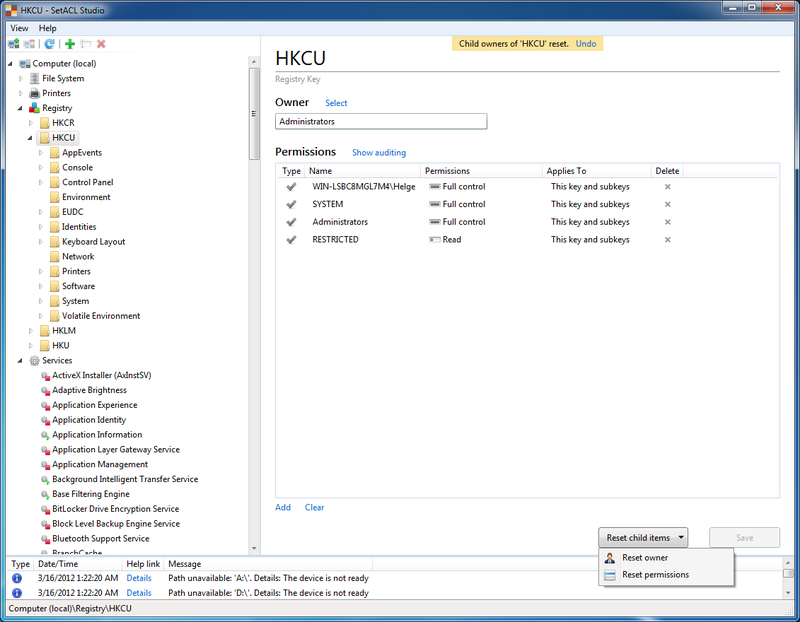 We reset the owners of all subkeys below HKCU. 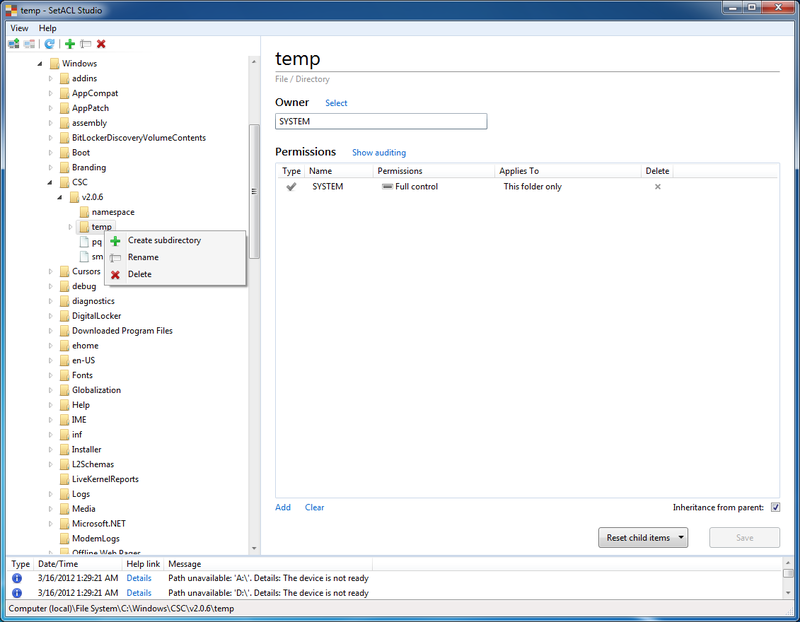 In case that change did not work out too well, a single click on “Undo” restores the original configuration. 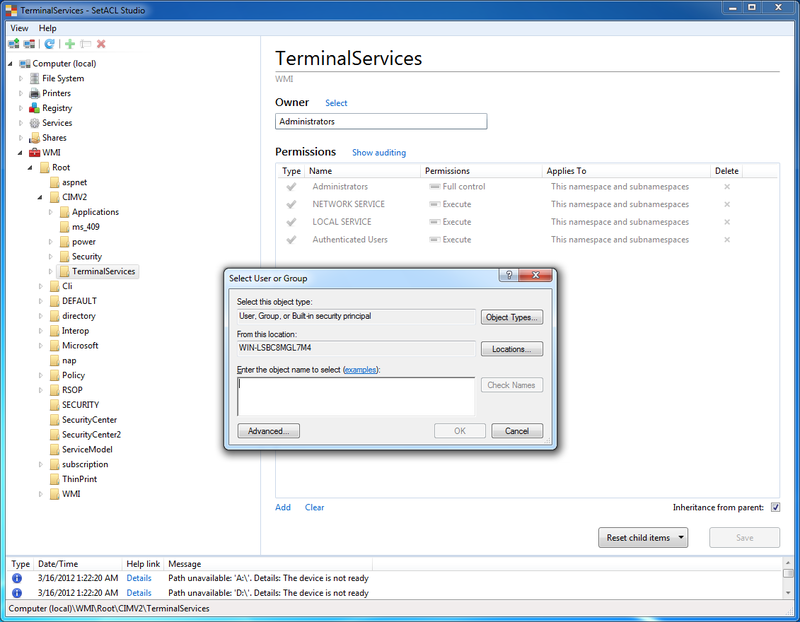 We are choosing a new owner for the selected WMI object “Root\CIMV2\TerminalServices”.